Since 2008, VMA Electric has been the electrical services contractor that homeowners in Sudbury and nearby Massachusetts communities have relied on for a full range of installation and repair services. VMA Electric was founded with a focus on providing an exceptional experience for customers, and our owner, Victor Archila, tries to be personally involved in every job we do to make sure his lofty customer service standards are met. Additionally, our licensed technicians have an average of a decade of experience and strive to stay up to date on the latest industry technological advances, so you can count on knowledgeable and experienced service. 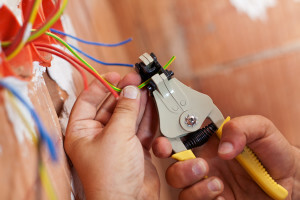 Wiring – Whether you need a room in your home rewired, an entire new house wired from scratch, or new phone and cable wiring, our electricians can get the job done right the first time. Installation – We are experienced at installing all types of electrical components, from indoor or outdoor lighting to permanent backup generators, home automation systems, home theater systems, home security systems, fire alarms, and smoke detectors. General electrical services – We can also help you troubleshoot any issues you may be having, from sparking outlets to malfunctioning breakers. And since you can never predict when you will need an electrician, we have someone on call 24 hours a day, seven days a week to make sure that you are covered in the event of an emergency. Call VMA Electric today if you would like to learn more about the full range of professional electrical services we provide for homeowners in Sudbury, MA, and the surrounding communities.